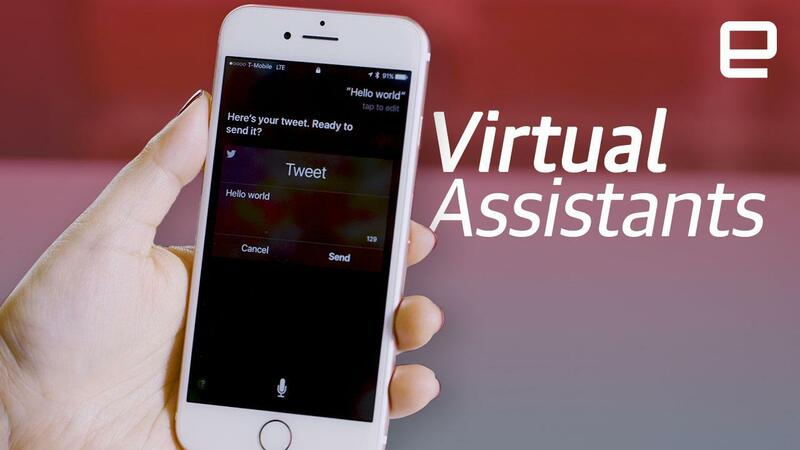 Five virtual assistants, one week, lots of hiccups. I've grown to depend on her, even if I do have to speak to her like she's a child. My morning routine is simple: I wake up when my phone's alarm goes off, I go back to sleep, wake up again, contemplate more sleep, get dressed, make coffee and listen to one of Alexa's "flash briefings" before I start slinging words on the internet. Getting that first news blast of the day used to be a job for my trusty clock radio, but no longer: Alexa's invasion has begun. More precisely, it began this past summer, when I was dragged through a Home Depot, saw a spider-wrapped Echo, and said, "Eh, what the hell?" For a while there, in the early days, Alexa's responsibilities boiled down to reading my Audible audiobooks and telling me what the weather was like so that I didn't need to look out the window. I know: mundane. Since then, though, she's become so enmeshed in the fabric of my household that I don't consciously remember all the times I talk to her. She's just there, always listening for its wake word, always trying to be helpful, and mostly succeeding. Strangely, I've come to regard Alexa as a sort of cloud-powered child. One moment she's hyper-capable and in the next, she can't grasp what I'm saying. It's understandably tricky to teach a voice interface to grapple with spoken language, which is why Alexa isn't much of a polyglot -- she understands American English, British English and German. 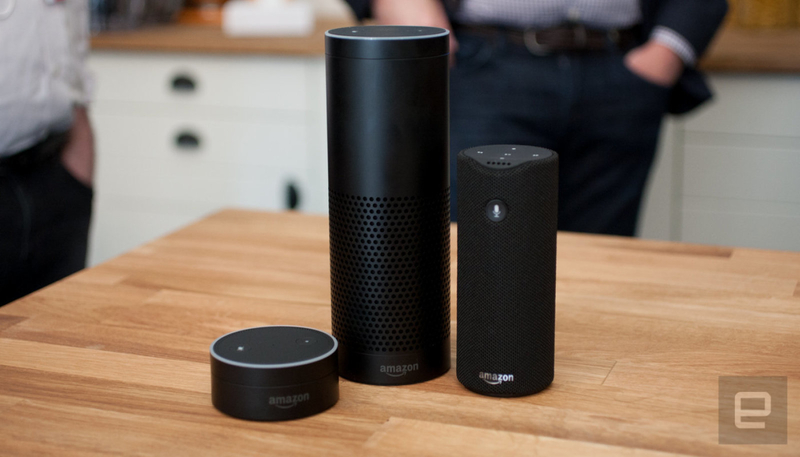 I only speak that first one, and in general, Alexa's a great listener, thanks to the Echo's seven microphones. Most of the time, she's great at understanding me too; I can't remember the last time she whiffed when I asked her to set an alarm or give me a flash briefing. Trying to control my rudimentary smart-home setup is a different story. 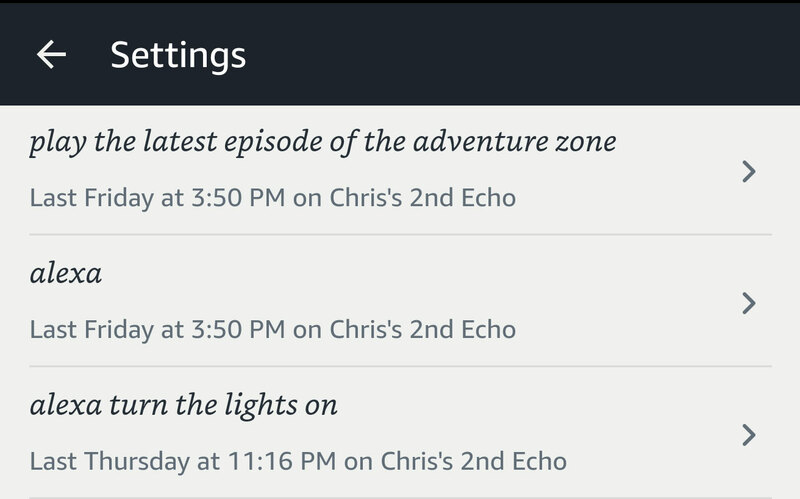 I have three Philips Hue bulbs in lamps around my home, and Alexa can always understand when I ask her to turn them on. Anything more complicated than that is a crapshoot: Sometimes she'll bring the brightness down to 50 percent, and sometimes she has no idea what I'm asking her. Same goes for leaving myself reminders. If I give Alexa a simple command like "remind me to buy eggs," she's fine. Almost anything more complex than that is hit-or-miss to the point where her mangled interpretations have become a running joke. I don't mean to make Alexa sound bad; most of the time she handles my commands just fine, so long as they're reasonably simple. Every once in awhile, she's even able to remember the context around what I ask so that I didn't need to ask a slew of repetitive questions. When I asked her in which year John F. Kennedy was assassinated, she answered correctly; she then correctly answered the question "How many kids did he have?" That's important: She knew "he" was "John F. Kennedy" without me needing to say it again. Alexa definitely still needs work as a conversationalist, though, and Amazon knows it: Alexa's chief scientist has said prolonged chats are part of the company's vision. Beyond that, Alexa isn't the best at answering general-knowledge questions. Sure, she can pull information from web searches, Wikipedia and more, but she's still miles behind Google's Assistant when it comes to scouting out answers to my inane questions. That almost doesn't matter, though, because developers have come to embrace Alexa with surprising affection. As I write this, Alexa has over 15,000 "skills" -- Amazon's term for all the voice-controlled applets and services that make the assistant more than just a friendly voice in a tube. I've asked Alexa to order a pizza (and canceled because she doesn't support good pizza places) and then played a streamlined version of Jeopardy. So yeah, Alexa is a super-capable assistant that works best when you talk to her as if she were a toddler. If that dynamic isn't odd enough, she's also a shop assistant at the Everything Store. Among my friends and colleagues, I have a reputation for being a pretty indiscriminate shopper. Do I need that three-pack of breathable running socks? Sure, but only if I upgrade my running shoes. You could call this a disorder, or perhaps, merely a lack of discipline. Either way, I was concerned that having an Amazon shopkeeper living in a black plastic tube with me would lead to many frictionless, frivolous purchases. I needn't have worried. Alexa's skill as a shopping assistant is well-documented: You can purchase almost anything from Amazon's seemingly infinite store shelves with just a few commands. Thankfully, Alexa is terrible at idle browsing. Let's go back to those running socks. Unless I know exactly which ones I want, I would just ask her to "buy me some running socks." Alexa thinks for a second and tells you all about the highest-ranking result for that search query. If that doesn't work, well, she's off to search result No. 2. It makes total sense that shopping with Alexa would work like that, but that doesn't make it any less tedious. For all the good that Alexa is capable of, she sometimes just freaks me out. She'll just be sitting there, totally inert, when I notice her blue listening light come to life out of the corner of my eye. What the hell? Turns out, they're false positives from the ever-present TV or YouTube video I have running, and they've thankfully become less common. Now, I'm not vain enough to think anyone would want to spy on me, but it's not like mass surveillance is impossible. I know that if Alexa were recording everything we said, a shitstorm of unholy proportions would land on Jeff Bezos's doorstep. Still, part of my paranoid brain can't help but wonder. Is it possible? Maybe? There's also the conundrum of constantly referring to a technically sexless disembodied voice as a "she" like I have been. Based on her name and her voice, Amazon very clearly intended for Alexa to be female, but there are moments when bossing around a subservient assistant can feel paternalistic. Alexa isn't just a homebody anymore, either. Thanks to some opportune partnerships, she's now on phones too: You'll find her on Huawei's Mate 9 and the HTC U11. I spent my week with the latter because it's the first phone that makes Alexa feel native; there's no need to launch an additional app first -- you just start talking to her. The thing is, Alexa still feels like she's stuck inside the home. Typical requests I've been able to ask of Siri and Google's Assistant, like calling or texting a friend, just don't work here. At least Alexa is kind enough to explain: You can send recorded voice messages or actually even call people ... as long as you have either an Echo of your own or have the Alexa app installed on your iOS or Android device. OK. I guess that helps. You can technically add these capabilities with third-party skills, but you still can't, say, ask Alexa to navigate you to your local non-Amazon retailer. She's also incapable of launching apps, changing settings or doing any of the nitty-gritty stuff where assistants come in handy on phones. And to be honest, phones -- at least the ones we have now -- don't seem like ideal places for Alexa right now, anyway. They typically use simpler microphone setups, which explains why I had to occasionally had to yell at U11-Alexa for her to hear me. And when U11-Alexa failed to understand me, the little Alexa window that pops up just stays there, keeping the phone's screen on and burning through its battery. Needless to say, phone makers primarily regard Alexa as an afterthought. That's fine, though -- Alexa is great at home, and despite all of her little frustrations, I can't imagine getting rid of her. Google Home's slick design and improved tolerance for silly commands has made me think about making the switch, but I can't tell Google to play my beloved Heinlein audiobooks, and besides, I'm already used to Alexa's quirks. I can't say I trust her completely, but whether I like it or not, she's basically part of the family. This week Engadget is examining each of the five major virtual assistants, taking stock of how far they've come and how far they still have to go. Find all our coverage here.